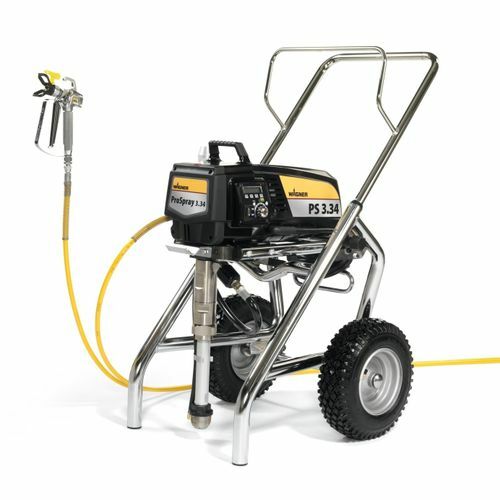 The Wagner ProSpray PS 3.34 is an extensive spraying unit best used on immense industrial construction areas, for utilization against any caustic media, or highly-viscous elements. Its main feature--the airless SprayPack mechanism--is the core of this device. It also sports a digital screen which displays all information provided by the spray, a SlowMotion feature, a sophisticated deadband management mechanism, and a dedicated FrequentClean component. It also provides minimal maintenance requirements, and little-to-no need for clean-up.